There has been an incredible level of parity so far in the season. While the year is still young, there hasn’t been one team that has clearly pulled away from the pack. In fact, as of this writing, no team has more than seven wins, but seven teams either have seven wins, or are only one win back. To further illustrate the point, a team in 12th place right now is only five points out of first place in the league. 1. Hamilton Bulldogs (LW: 1) – 15 goals in three games this week, and though they lost to Sudbury, the got their revenge in the very next game. 2. Sarnia Sting (LW: 3) – Losing 7-2 to Erie hurt, but bounced back with back-to-back wins over Niagara and Barrie. 3. Erie Otters (LW: 7) – Winners of five straight after starting the year 1-3. The defence corps just got better as well, with the late return of Erik Cernak. 4. Windsor Spitfires (LW: 2) – Would have had the top spot locked up after beating Flint, but then they got shutout by the Knights. Still waiting for them to string together some wins. 5. Sault Ste. Marie Greyhounds (LW: 9) – This team seems to be all over the map at times, but a three game winning streak speaks for itself. 7. Kitchener Rangers (LW: 5) – Didn’t play badly, but had an unimpressive schedule this week and got hopped by other teams. Jeremy Bracco has been incredible since coming back. 8. London Knights (LW: 4) – Followed an excellent win against Windsor with a letdown game against Erie. Still seems like they have another gear that they can’t seem to find. 9. Flint Firebirds (LW:6) – Brutal schedule of late, not ready to bail on this team yet. Facing another tough week with match-ups against the Spits and Greyhounds. 10. 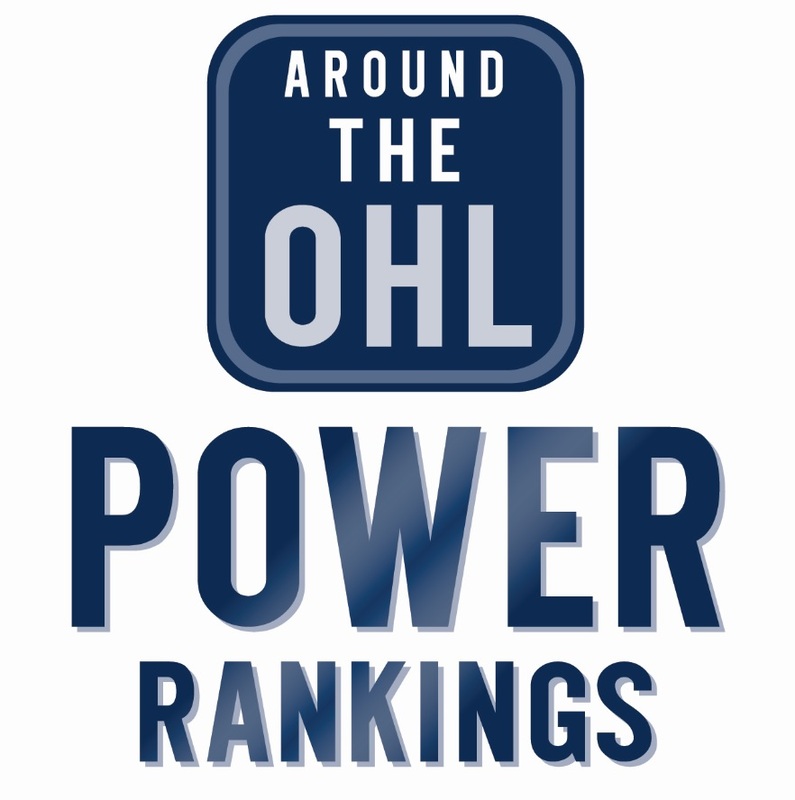 Owen Sound Attack (LW: 16) – Impressively beat Kitchener after beating Sault Ste. Marie the week prior, but lost to Peterborough on a back-to-back. 11. Oshawa Generals (LW: 17) – Managed to string together three wins before falling to Sudbury in a close game. Tough game with Sarnia looms. 12. Kingston Frontenacs (LW: 11) – Lost to the Greyhoudns, but still managed to grind one out against the Battalion. 13. Peterborough Petes (LW: 18) – Played well despite an absolutely brutal schedule of late, including a back-to-back-to-back. Should be able to right the ship a bit. 14. Barrie Colts (LW: 13) – Like the Petes, had a very difficult schedule, but faced slightly easier competition. 15. Mississauga Steelheads (LW: 19) – Their defence has been a lot like the Hershey Centre security team when that fan jumped the boards against Guelph: Non-existent. Managed to beat Flint though. 16. North Bay Battalion (LW: 10) – Should be thankful for their win against Ottawa, otherwise they could have kept tumbling. 17. Ottawa 67’s (LW: 14) – Had two home games this week and lost them both. Inexplicably looking for their first home win. 18. Saginaw Spirit (LW: 20) – Things could be going better, but followed their first win of the year by going to OT with Mississauga. 19. Niagara IceDogs (LW: 12) – Still only losing by a goal in just about every game, but at some point those need to turn into wins. 20. Guelph Storm (LW: 15) – Six straight loses all but erases the good vibes from their start. Weaker schedule this week gives them a chance to bounce back.